1) Superior quality and complies with international cosmetology and medical requirements. 2) Excellent stability, less vibration. 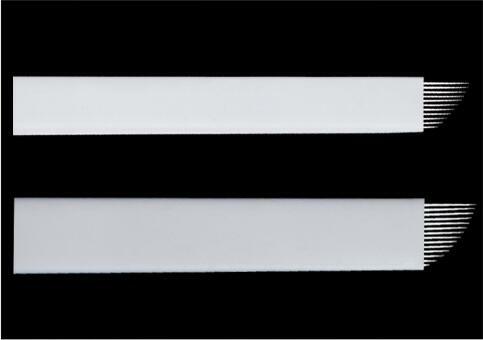 3) Blade is made of medical grade stainless steel. 4) Sterilization certified by EO, complies with Government Sterilization Guidelines. 6) Customized by brand PCD. 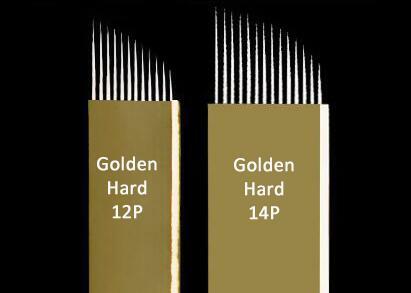 12/14 pin blade with 12/14 single needles arranged in 1 row. 12/14 fine needles that are arranged closely in 1 row. For fine hair-strokes and tapping. Sterile packaged. stay much longer and keep more stable. 4. Revolutionary patented technology products, adopt international advanced technology of laser welding to avoid harmful substances produced by the ordinary solder more conducive to disinfection. 6. 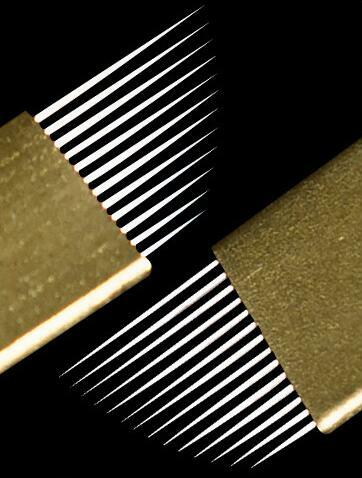 Diameter of needle: 0.18mm,0.22mm, 0.25mm, 0.3mm, 0.35mm. 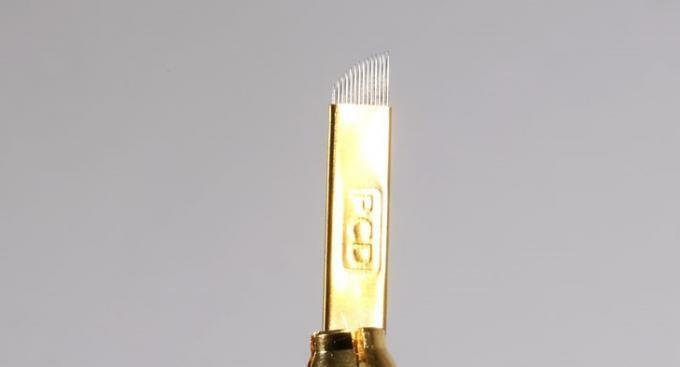 perfect to draw ultra thin hairs recommended for drawing curved hair strokes,may be used to go over same hair twice accurately great for drawing top brow hairs & creating natural looking eyebrows . What’s more we can do for you ? We professional supply permanent makeup needles and blades since 2006 , all microblades we supply are in high quality and 100% disinfection gurantee with test report . 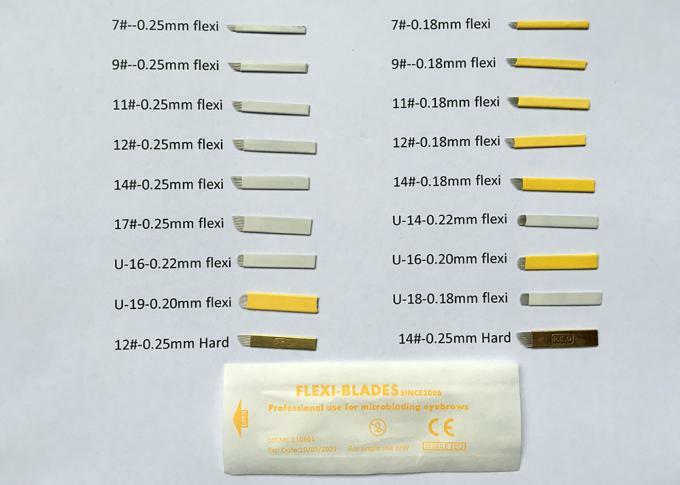 The MOQ for private labeling blades is 20000pcs , the sizes can be mixed and there will be patch number and expiry date on the packaging . 5) We supply big variety sizes for your choice . 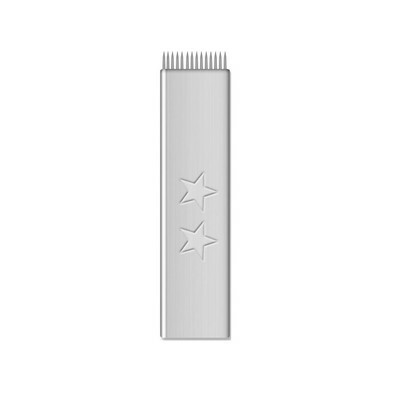 Flat shading F14 blade is a easy and safe use blade for eyebrow shading .